This clip is of the classic song Atomic performed live in Glasgow in 1998. 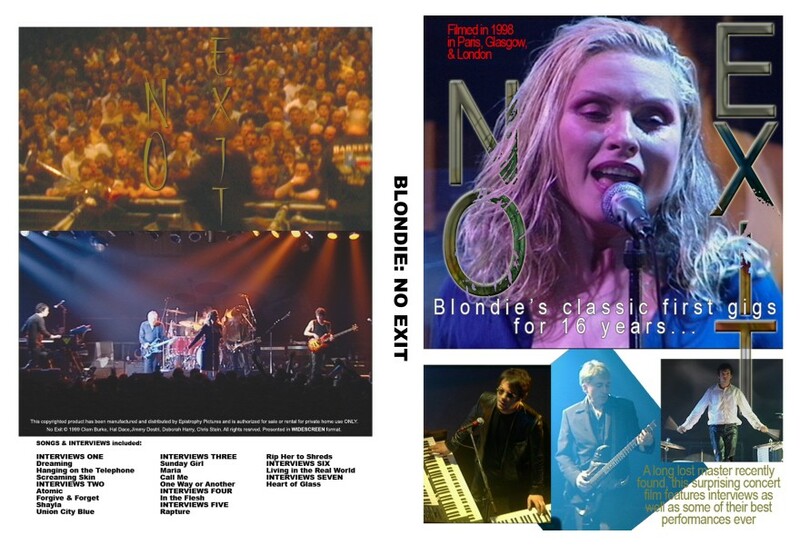 No Exit has Blondie’s best live performances. If you love Blondie, you must see it. Originally broadcast on TV in 34 countries, this film was largely forgotten owing to the release of the somewhat less exciting Blondie Live. It was finally released on DVD in 2008 and received ecstatic reviews. Owing to logistical problems, it was unavailable for almost two years, but now it’s back. We should ensure that modern “bands” should watch this DVD for a thorough knowledge of how an excellent band operates. This is the very best music DVD I’ve ever seen – and I have every Blondie DVD and VHS that there is to be had! Superb shots, perfect sound, fantastic recordings. And the interviews are great – “I just thought I was crap,” says Debbie. So honest and forthright. That’s what makes her magical.